Monday-Sunday: 10am-6pm We will remain open until 8pm starting November 1. Head west on 470. Take the Broadway exit and head north. We are two blocks up on the west side (behind McDonald's, next to Office Depot). 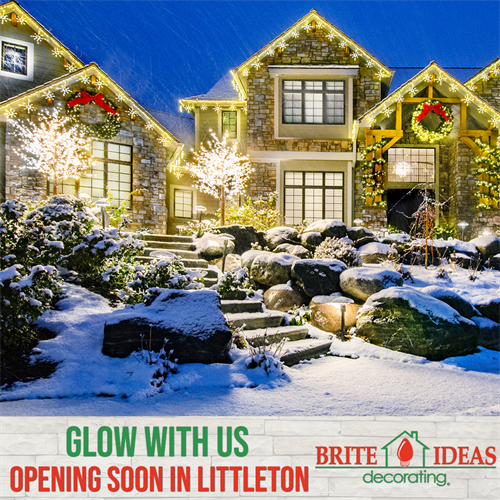 Established in 1990, Brite Ideas Decorating, Inc. has become a holiday lighting industry leader, providing our customers with durable, cutting edge lighting displays for both Residential and Commercial applications. Brite Ideas, one of the nation’s largest manufacturers of specialized outdoor holiday lighting, has over 250 distributors across the U.S., creating beautiful customized lighting displays for nearly every season or event. Featuring a full line of innovative LED products and uniquely designed displays, Brite Ideas appeals to traditional, modern, simple, and even ornate tastes. Our quality, uniqueness and durability is unrivaled. In addition, Brite Ideas specializes in completely customized displays to truly meet your every need. It is our mission to promote excellence in the holiday lighting industry. With that, we firmly believe that our products go above and beyond the standard to create the best holiday atmosphere for you.